Bill Belichick Stars as Captain Renault in Casablanca! If you felt like you were watching a bad remake of the Humphrey Bogart classic, Casablanca, you were not alone. The Bill Belichick press conference about Deflategate seemed to be re-enacting one of the more famous scenes of the movie. The gendarmes crash into Rick’s Place for a raid. Whistles blow and everyone scrambles. Bogart demands to know what is going on from the Prefect of police, Captain Renault. 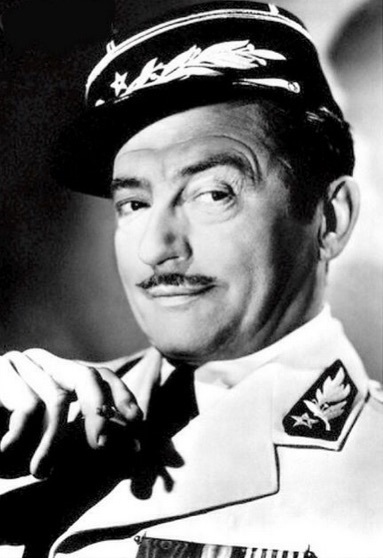 As played by the slick Claude Rains, his expression is purely feigned innocence. Bill Belichick gave his press conference and noted duly with a straight face, “I am shocked, shocked, shocked to hear that footballs were under-inflated.” The first he heard of this was Monday morning when he came into his office at 4am. Belichick had never in his life ever discussed the psi of footballs with anyone. In fact, he simply plays the game with the equipment given him at game time. He never questions the inflation of the balls, the atmospheric pressure of the stadium, or the meteorologist’s forecast of the game. Yes, indeed, we are shocked, shocked, shocked!